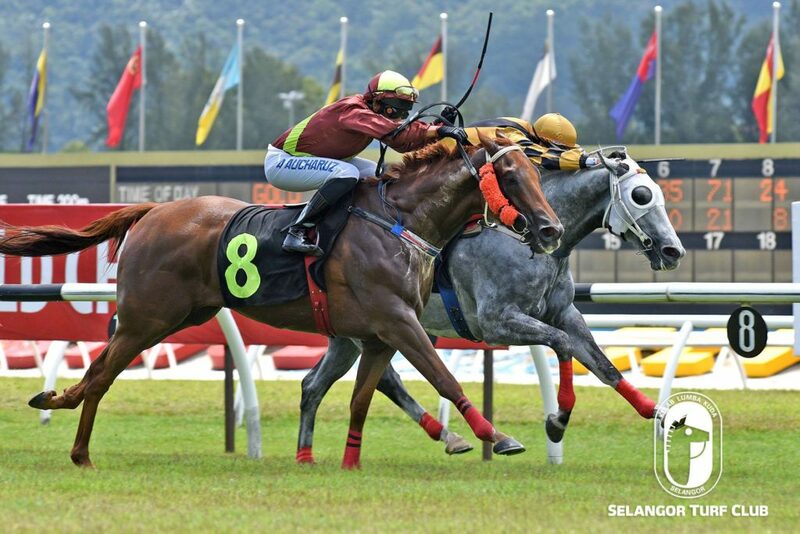 Trainer Charles Leck’s Verglatica is well prepared for the Stayers Stakes B event over the gruelling 2000m in Race 9 on Saturday at Selangor Turf Club. On the track today (Friday), the eight-year-old by Verglas did a single round strong canter looking a picture of fitness in the workout. Last week, Verglatica, in a tune-up run with Jockey SU Lim on board showed some form when finished a very good second to Shahpur Jat over 1600m. Once again Jockey SU Lim takes the ride on Verglatica and is seen with a chance. RACE 1: Sea Horizon did a canter. RACE 2: Musang King did two rounds of strong canter, looks well. RACE 4: Astro Man has come right and should greet the judges this time out when did a trot and two rounds of canter. RACE 9: Last start winner, Platoon, did a strong canter stands a chance to score a back to back win.